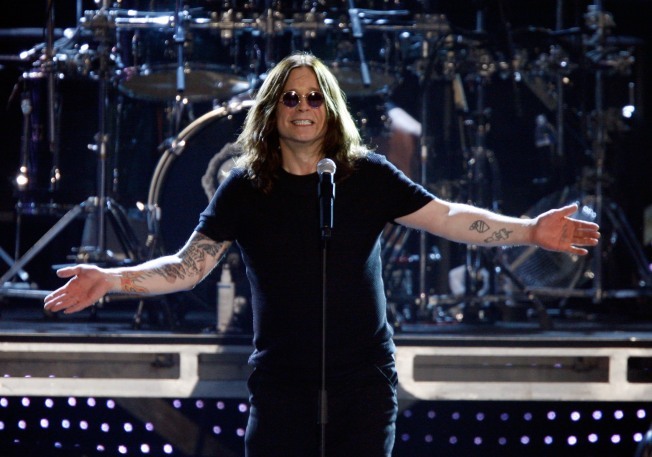 Ozzy Osbourne has postponed his rescheduled Oct. 18 San Diego show. Third time's a charm? Ozzy Osbourne's recently rescheduled Oct. 18 Mattress Firm Amphitheatre show has been rescheduled again. On Thursday morning, heavy metal's "Prince of Darkness" -- who was forced to postpone four West Coast shows (including his Chula Vista date) due to hand surgery complications -- announced that the concerts will be rescheduled at a later date in 2019. According to an official statement: "Following additional evaluation from his doctors, Osbourne will likely require another surgery in the coming days to treat multiple infections in his right hand." All four shows are part of Osbourne's "No More Tours 2," a trek billed as the singer's official farewell to more than five decades of touring. "I'm so f---ing bummed about canceling these shows," Osbourne said in a press release. "The tour had been going great and we were really looking forward to these last few gigs. We're hoping everyone will be patient and we'll look forward to seeing them at the shows next year." A quick look at Osbourne's current tour itinerary has the rocker scheduled to perform in the U.K., Europe and Australia in February and March of next year. He has no dates lined up in January or after his March 16, 2019 show at Spark Arena in Auckland, New Zealand. Perhaps we'll see him then. Ozzy, who has sold more than 100 million records since getting his start in the 1960s, is, of course, known for fronting both Black Sabbath and one of the more unforgettable MTV reality-TV series of all time, "The Osbournes." The Rock & Roll Hall of Fame inductee has played in San Diego in the past, including a solo show in 2007 at Sports Arena, as well as an appearance at the same venue with Black Sabbath on the "Never Say Die! Tour" in 1978 -- Osbourne's last full tour prior to the band's reunion nearly a decade later. Stay tuned to SoundDiego for more information as it's announced.